Amstelveen [Netherlands], August 4 (ANI): Nepal cricket team captain Paras Khadka has hailed Nepal's first ever one day international (ODI) victory in a historic two-match series against Netherlands and thanked his well-wishers for their continuous support in the journey. 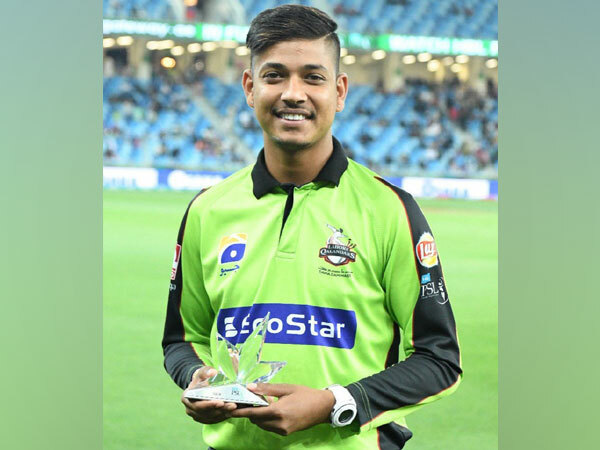 New Delhi [India], March 31 (ANI): Sandeep Lamichhane, the leg-spinner who scripted history by becoming Nepal's first cricketer to enter the Indian Premier League (IPL), believes his participation in the lucrative tournament will help in the promotion of cricket in his home country. Kathmandu, [Nepal] Mar 23 (ANI): Leg spinner, Sandeep Lamichhane, from Nepal who was selected for the Indian Premier League's 11th edition was handed the Delhi Daredevils jersey on Thursday. New Delhi [India], Jan. 29 (ANI): The two-day auction of the 2018 Indian Premier League (IPL) concluded in Bengaluru with 169 players filling up the 182 available slots. Bengaluru (Karnataka) [India], January 28 (ANI): Sandeep Lamichhane has become the first cricketer from Nepal to get an Indian Premier League (IPL) contract as he was bought for his base price of Rs 20 lakh by Delhi Daredevils on second day of the ongoing IPL player auction here on Sunday.